Super Savings Item! Free Shipping Included! 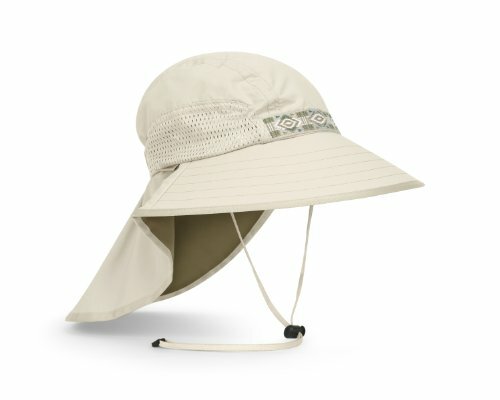 Save 31% on the Sunday Afternoons Adventure Hat, Small, Cream/Sand by Sunday Afternoons at Mas Fashion. MPN: S2A01001B22302. Hurry! Limited time offer. Offer valid only while supplies last. The Adventure Hat is Sunday Afternoons signature hat style. Worn by adventurers around the world - it's the most recognizable sun hat on the planet. The Adventure Hat is Sunday Afternoons signature hat style. Worn by adventurers around the world - it's the most recognizable sun hat on the planet. The Adventure Hat provides nearly weightless UPF 50+ sun protection with its innovative and patented design. Featuring strategic ventilation, customizable sizing, a 4-inch wide front brim, 3.75-inch sides and a 7.5-inch neck flap; the Sunday Afternoons Adventure Hat is the ultimate choice for sun conscience adventurers. Feel confident knowing your nose, cheeks, lips, eyes, ears and neck have an excellent UV shield. If you have any questions about this product by Sunday Afternoons, contact us by completing and submitting the form below. If you are looking for a specif part number, please include it with your message.